Vietnam professional football (VPF) company hosted an award ceremony at Hoa Binh (Peace) Theater in Ho Chi Minh City on August 20, to honor individuals and teams, who brought outstanding achievements for Vietnamese football during football season of 2013-2014. 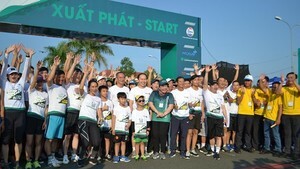 The ceremony was attended by Deputy General Director of the General Department of Sports Pham Van Tuan and leaderships of Vietnam football federation (VFF), Vietnam professional football (VPF) company. In addition, Japanese League chairman Mitsuru Murai also attended in the gala. At the award ceremony, VPF handed over V-League Cup for Becamex Binh Duong football team and National Cup for Hai Phong team. Besides, awards for the best men’s football player went to attacker Anh Duc, and the best football coach belonged to Nguyen Thanh Son from Becamex Binh Duong team. Awards for the best young football player offered Tran Minh Vuong, meanwhile, striker Hoang Vu Samson from Ha Noi T&T team received the title for football players scored the most goals. 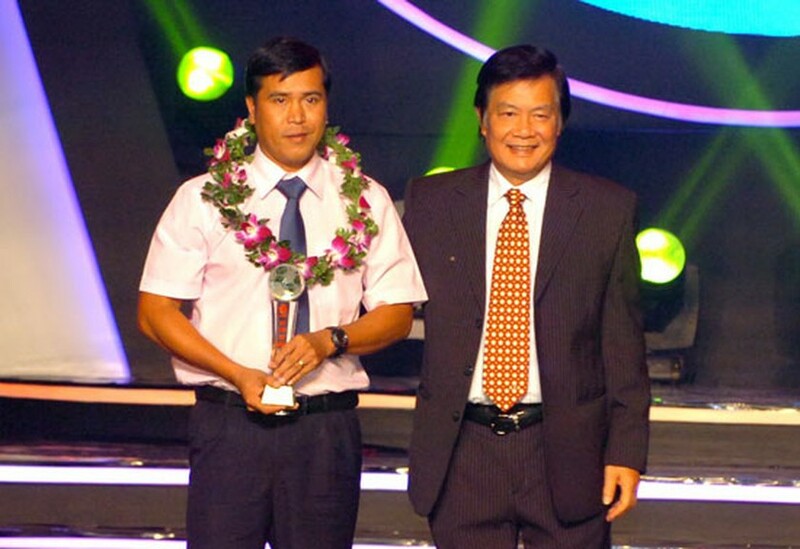 VPF also awarded the title of the best umpire in 2014 to Nguyen Trong Thu.